US sailing instructor, avid diver and water sport enthusiast Captain Jacek grew up sailing since age eight where he attended St. Petersburg Sailing Center in Florida racing Optimists. In high school, he went on to race Lasers and continued racing for Florida Atlantic University where he placed top 3 in several collegiate racing regattas. Jacek continued to find his passion on the water and began working in the marine industry; becoming a captain piloting charters from New England to the Virgin Islands. Using his intimate knowledge of the Virgin Islands and local hot spots Jacek delivers a marvelously guided sailing experience. First Mate/Chef MayaMaya's love for water and food comes from her background growing up in the Mediterranean. After living in beautiful (but landlocked) Utah for 14 years, she finally decided to go back to her aquatic roots. Pursuing her dream, she moved to the USVI in 2015, and spent the winter working in the service industry and on different day sailing charters. Her passions are cooking, singing, and playing the guitar. 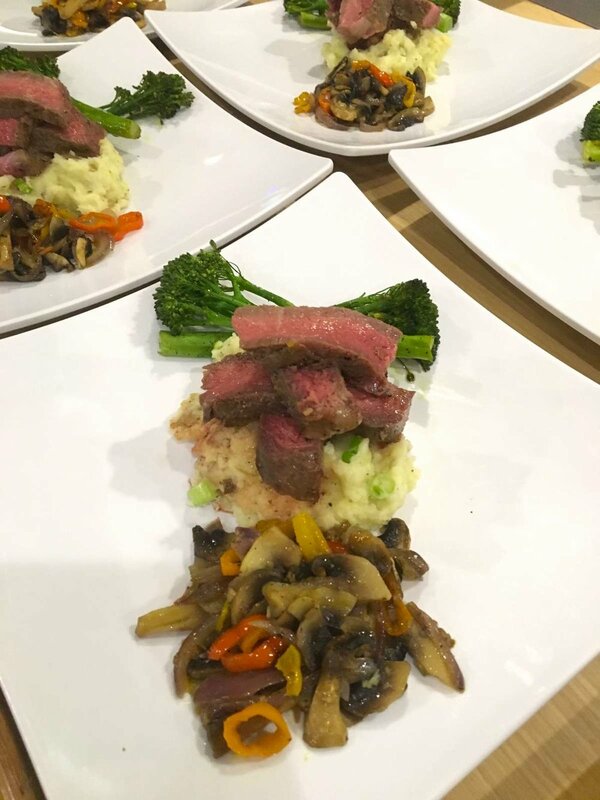 Maya believes that there is nothing better than gathering friends over plates of great food and seeing their smiles and enjoyment as they eat, talk and relax around the table. Maya looks forward to sharing her culinary passion with you, and making your experience on LoveBoat unforgettable! Together Jacek and Maya deliver a fun, relaxing, and adventurous experience. Sit back, relax, and enjoy an adventure of a lifetime! Fresh fruit served each morning along with breakfast based on availability. Breakfast cereals, grits, oatmeal and cream of wheat can be supplied upon request. Coffee, tea, juices, water and milk are available each morning. Vegetarian options are also available. Avocado Egg Bakes with Bacon, Gruyere, and Freshly Ground Black Peppercorns. 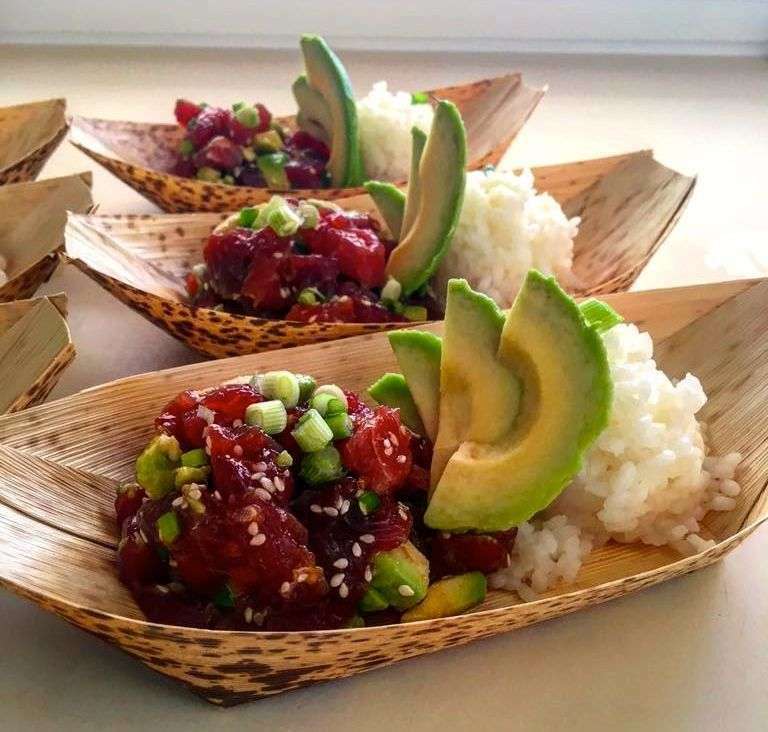 Local Tuna Poké with Sticky Rice and Avocado. Shrimp and Scallop Ceviche with Mango, Red Bell Peppers, and Avocado. Grilled Chicken Greek Salad with Kalamata Olive Tapenade and Housemade Dressing. 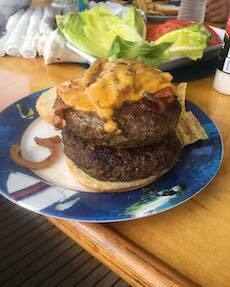 Stuffed Burgers with Bacon, Cheddar, and Caramelized Onion with a Napa Cabbage Slaw. Jerk Grouper Sandwiches on Toasted Ciabatta with a French Potato Salad. Local Mahi Mahi Tacos with Homemade Flour Tortillas, Pico, and Scallion Infused Sour Cream and Fresh Guacamole. Caprese Salad with Prosciutto and Rosemary Toast Points. 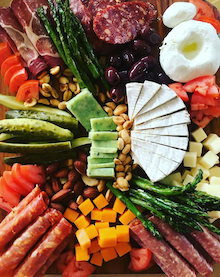 Charcuterie Platter: Cured Meats, Cheeses, Olives, and Assorted Breads. Mediterranean Platter: Homemade Hummus and Tzatziki Sauce Served with Pita and Veggies. Bacon Wrapped Dates Stuffed with Almonds and Goat Cheese. Baked Brie in Puff Pastry with Dried Apricots and Berries. Grilled Halloumi Cheese with Zucchini Strips and Juicy Green Grapes. *Please address food allergies and any dietary restrictions with the Chef prior to the trip and document them on the food preference form.